The Library Design awards show that libraries are at the heart of academic life, says SCONUL in making this year's awards for outstanding library design. 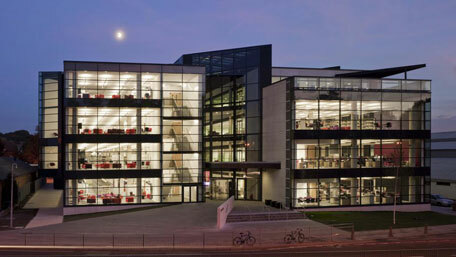 Augustine House Library and Student Services Centre at Canterbury Christ Church University and The McClay Library, Queen’s University Belfast are the joint winners of the 2013 prestigious SCONUL Library Design Awards, with the Library at University of the West of Scotland and Scotland’s Rural College (SRUC) taking the honours in the smaller buildings category. The awards have been made every three years since 1973 and recognise the best in the design of higher education libraries. 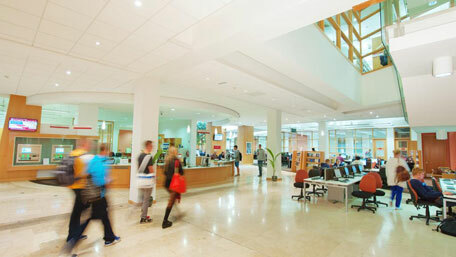 Ann Rossiter, Executive Director at SCONUL, said: "Universities are increasing their investment in high quality design and build for libraries which also come equipped with state-of-the-art technologies. While some predicted that the advent of e-books and e-journals would mean a downgrading of the status of libraries within the institution, it is clear that the reverse is true. “Providing access to knowledge is vital but is only one part of what an academic library does. Libraries are at the heart of their institutions and one of their most important functions is the provision of a place and atmosphere for learning. “Canny Vice-Chancellors realise that libraries form an important part of a university's offer to undergraduates, post-graduates and staff, and can be the difference between high and low levels of student satisfaction. Our winning libraries offer a blueprint for how libraries can transform learning." Liz Waller, chair of the judging panel, said: “Augustine House Library and Student Services Centre at Canterbury Christ Church combines modern design with sensitivity to its historic location by the city walls. It provides flexible and inspiring learning environments which put the student first. 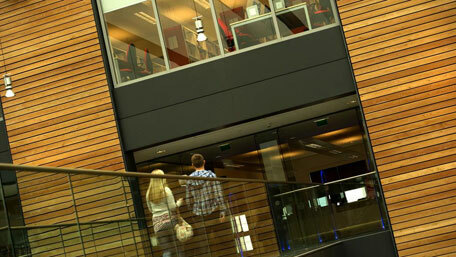 "The McClay Library at Queen’s University Belfast is a landmark building marrying contemporary and classic design which has transformed the library service and more than doubled the number of students using the building.